“Bachelors in business management from the university of Florida in 2004 and then being a full time professional MMA fighter. After living in Brazil a few years and then getting an injury that wont allow me to fight anymore I have decided to go back to school to become a Registered Nurse. I am very excited by the opportunity to make a decent living and help people at the same time and I am very passionate about choice. 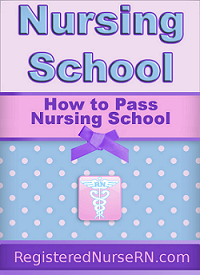 I am finishing the last of my required pre nursing classes this semester and I am planning on taking the HESI entrance exam pretty soon. What sort of scores are average and what is Great? I am sorry if this is a stupid question but any help you could give me I will appreciate. What is on the HESI Entrance Exam? Brett, thank you so much for your question. Your background is very interesting….especially the MMA fighter career. It is also very interesting that you chose nursing as your next career focus. I, myself, have taken the entrance HESI exam and this exam was actually not that bad. It is sort of like a ACT or SAT exam that you take for college but easier. I studied for it by practicing my math because it contains a lot of ratios, fractions, conversions (Liter to milliliters, ounces to pounds…etc) and math is not my strongest subject. *If you need some help on conversions I wrote a post on how to solve them a while back it may help you…..Dosage here. I ended up scoring a 96% score on the math. You don’t get to use your own calculator….only the simple calculator provided by the computer. If you are like me you depend on your Texas Instrument calculator to solve the fractions and ratios for you lol. So I had to review how to do it all by hand again. (Oh yeah, as a side note the test is on a computer and there is no going back to change your answers). What are Considered Average Scores on HESI Exam? So now to your main question: what is considered average and great scores? My university required that we scored at least a 85% on certain areas and if we didn’t we had to take remediation courses. So I would consider a 70-79% need some remediation, 80-85% a decent score (but could use some improvement), 85-90% great at the material (average), 90-100% excellent at the material (above average). How to Study for the HESI Entrance Exam? I wouldn’t worry about this exam…just study the basics and you should be fine. If you are worried about it I would purchase a practice study guide off Amazon.com to help you study (but I don’t know how much time you have because you said it was coming up soon). I wish you all above average scores and I think you will nail it! Good luck and keep me up-dated! If you ever have any other questions don’t hesitate to hit me up. Also, good luck with your nursing career!